KACA celebrates its 40th anniversary with a special full-day conference and Gala Reception at Renaissance Washington DC Hotel on August 9. 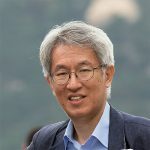 The Anniversary Conference to be held in conjunction with this year’s AEJMC convention will feature a prominent keynote speaker: Mr Yongjin Kim, CEO and Editor-in-chief of the Korea Center for Investigative Journalism (KCIJ), the first nonprofit online investigative reporting organization in South Korea renowned for its investigative journalism site Newstapa. He started his career as a journalist in 1987 at Korean Broadcasting System (KBS), a public broadcasting corporation. He mostly covered criminal justice, human rights, media and foreign affairs. He exposed that the Korean spy agency NIS helped big corporations block people involved in trade unions from getting jobs by doing illegal surveillance and establishing a huge blacklist. In 1992, he received the Journalist Association of Korea (JAK)’s “Korea Journalist Award,” the most prestigious journalism award in Korea for the exposure. He also has won three “This Year’s Broadcasting Journalist” awards. In 2005, he founded and led an investigative reporting unit in KBS. The unit received more than 30 prestigious national and international journalism awards, including an IRE award under his supervision. In 2005 and 2006, he worked as a visiting professional at IRE. In 2013, He quit KBS frustrated by the constant need to fight the muzzles put on investigative journalism in the mainstream media under the conservative government. He then established KCIJ. KCIJ/Newstapa has so far received about 50 major journalism awards under his leadership. He is the author of They know, but we don’t, a best seller based on the cables of the U.S. Embassy in Seoul that were first exposed by Wikileaks. He also teaches investigative reporting at the Graduate School of Journalism at Semyung University. Please make your plans to attend the conference. Up-to-date information about this important event can be found at the KACA website: http://www.thekaca.org/40-years/.